Haight Family Dentistry knows all patients are unique and deserve to receive the individualized dental care designed to fit their needs. Our experienced and talented dental hygienists are committed to creating a comfortable, stress-free, and rewarding dental experience every time you visit them in Plano or Melissa. We are pleased to welcome you and your family to Haight Family Dentistry and we look forward to working with you. Sarah Wolfe was a patient at Haight Family Dentistry prior to working here. She always had a passion for dentistry so when the opportunity fell into her lap to work at our office she, of course, jumped on board! Dr. Haight and his team trained her in several different positions and she is now locked in for life. Sarah is the sweet, bright-smiling face you see when you first walk through the doors at Haight Family Dentistry! She understands that the dental office is not the most exciting place to be, so she works hard to ensure you visit goes as smooth as possible. Due to her compassionate nature, she has built long lasting relationships with our patients! When Sarah is not working she enjoys spending time with her husband Brandon and two children; Ariana and Uriah. Their favorite family past time is chasing one another around the house with Nerf guns! They’re a pizza loving family who enjoy listening to music and dancing the night away! 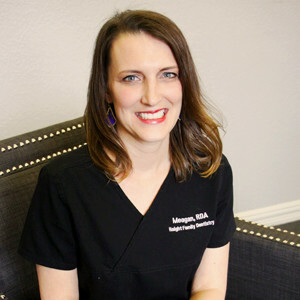 Meagan Owens has worked for Haight Family Dentistry since she was 17 years old and has known Dr. Haight since she was a child! She is incredibly passionate about working with our patients to receive the dental work they need and makes every effort to get your dental claims paid! Her loyalty, dignity and integrity truly create a strong backbone for our office. Meagan and her husband Brandon live in Melissa, TX along with their two sons Mason and Dillon. They also have a fur-baby named Tyson who practically runs the show! She enjoys being outdoors cheering on her boys during their baseball games! Fun Fact; Meagan, along with Taylor Smith, own an online clothing boutique called The Southern Ginger Boutique. Feel free to ask them about it for more information! CareCredit makes it easy for you to access care, without delay. © 2019 Haight Family Dentistry. Your Plano Dentist and Melissa Dentist, Dr. Fred Haight, DDS will welcome you for all of your dental needs, like teeth whitening, dental crowns, dental implants, dentures, and cosmetic dentistry. 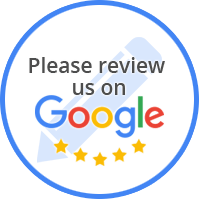 Haight Family Dentistry offers excellent dentistry to all North Dallas areas including Plano, Allen, Fairview, Frisco, McKinney, Prosper, Melissa, Anna, New Hope, Van Alstyne, Westminister, Altoga, Blue Ridge Texas. Call today to schedule an appointment!